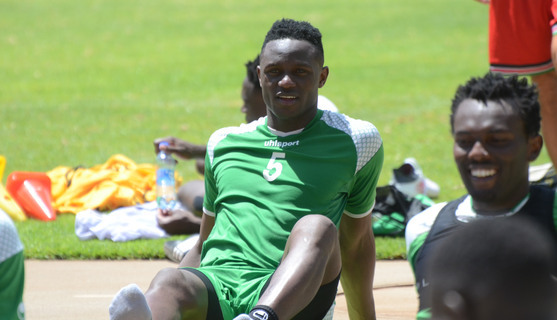 Harambee Stars captain Victor Wanyama has warned his teammates to expect a tougher tie when they take on Ghana’s Black Stars in the final African Cup of Nations qualifier in Accra on Saturday evening. Stars were 1-0 winners in the first leg in Nairobi courtesy of an own goal, a match that Wanyama missed with injury. And with the Ghanaians having recalled some of the players overlooked in the first leg in Nairobi including the Ayew brothers, Wanyama knows it will be a tougher test but believes the charges have what it takes to pick maximum points and wind up the qualification top of the group. “We know it will not be the same. It will be tougher because this is not the same team we played here. They have called in players with lots of experience and we need to be ready for the tough task. If we give our best, we will get positive results,” the midfielder stated. Despite the fact that the team will only be fighting for bragging rights in Accra having already qualified, Wanyama says they are motivated enough to win. “It is a big game against a giant in African football and winning it will mean a lot to us as a team. We have prepared well for this game because it will be important for our ranking as well,” the Tottenham Hotspur midfield enforcer further stated.